No April Fools here. We'll be hosting PaddleFest with REI at Stone Mountain Park on Easter Sunday afternoon - a great activity for the family! And April is the time to get out and explore your local REI Boathouse at Stone Mountain! Join the Georgia Conservancy and REI on April 1 from 2 PM - 6 PM as we gear up for the springtime paddling season. Want to join us on a longer Georgia Conservancy paddle trip but need to hone your kayaking skills first? Paddlefest is the perfect place to get your feet wet! REI is providing 30 minute demo kayaking paddles at their brand new REI Boathouse to all GC participants. 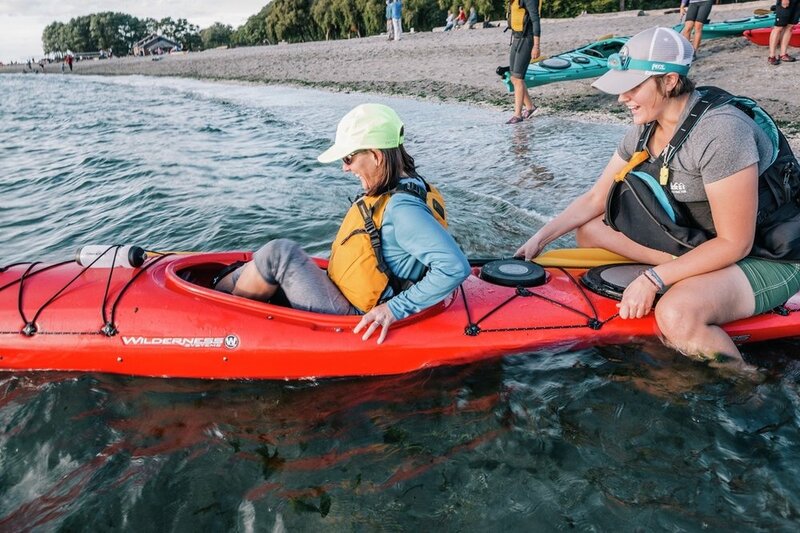 Whether you are trying paddling for the first time, an experienced paddler, or looking to start a new family adventure together, PaddleFest is a great way to find out! We will also be joined on the water by Catalyst Sports. Catalyst is dedicated to providing adaptive adventure opportunities to anyone with a physical disability. We look forward to joining their Atlanta chapter in hosting their first adaptive paddling program. PaddleFest is open to a maximum of 25 paddlers. Trip Price: $25 per person / *$15 parking permit or $40 annual parking permit required for Stone Mountain Park entry. *Registration opens to Georgia Conservancy members on December 15 and to the General Public on December 18. If you have any questions about our Stewardship Trips Program or about any upcoming trip, please contact Georgia Conservancy Stewardship Trips Director Laura Buckmaster at lbuckmaster@gaconservancy.org.